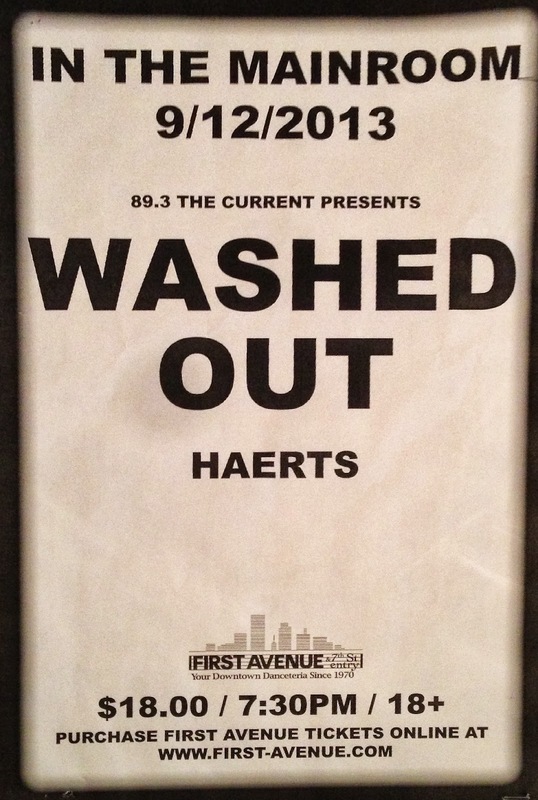 Washed Out made his first appearance in Minneapolis this past Thursday telling us he's not sure what took so long. He kicked off the hour long set with "Entrance" off his newest album "Paracosm". 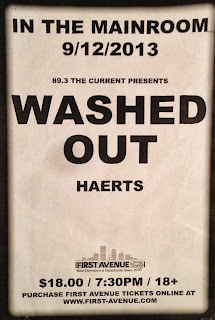 While Washed Out, real name Ernest Greene, himself played acoustic guitar, keyboard, and a drum machine, his band had all the same instruments, which included a drummer, a bass player, and keyboardist, and a guitarist. Although it seemed like everyone had a mixer or keyboard for themselves, it ended up blending very well together with each musician adding a subtle layer to each song.